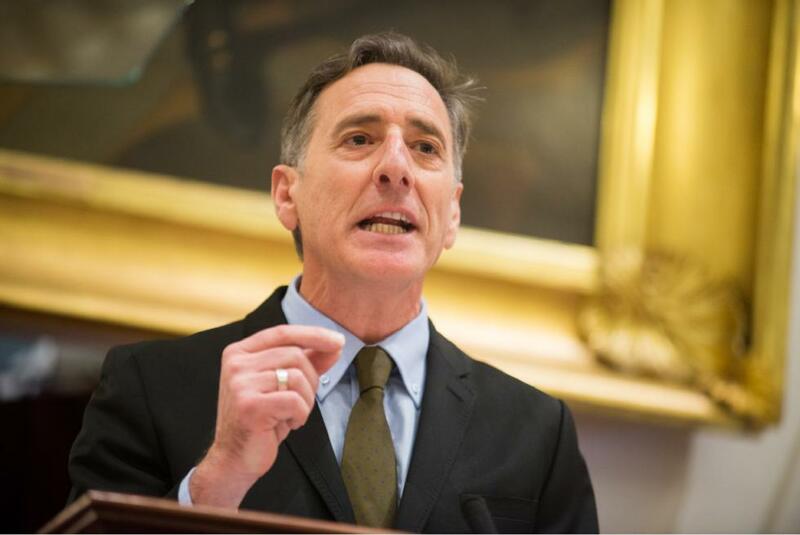 But Shumlin identified preventing addiction as the toughest and most important task. It is a challenge, he said, “without a clear national model or consensus on what works best.” He proposed several different strategies including education efforts geared to high school students (using a film “The Hungry Heart” about addiction in Vermont) and programs to equip medical providers to intervene and educate patients about how to avoid addiction. He also noted that the Affordable Care Act (ACA) requires coverage for the treatment of substance abuse disorders. Shumlin made the case for a greater role for schools. “We know that risky behavior develops early in life and too often accompanies family difficulties and dysfunction,” he explained. “When parents struggle, children suffer, and we all pay the price for years to come. This is why we must continue our focus on the earliest years.” He also promised to sign a bill for all Vermont children to have access to quality universal pre-kindergarten “to set them on the right path.” Universal pre-K programs in Oklahoma, Georgia, and Florida are often identified as models. PBS News Hour anchor Judy Woodruff interviewed Shumlin and Ryan Grimm, author of the book This is Your Country on Drugs: The Secret History of Getting High in America. In the set-up to the conversation, Woodruff noted that the White House Office of National Drug Control Policy reported that the number of deaths involving heroin surged 45 percent between 1999-2010. Grimm noted that some states, such as Kentucky, are starting to treat the drug problem more humanely. There are hopeful signs that drug addiction is increasingly being treated as a public health crisis as well as a law enforcement matter at all levels of government. True, the cost of confinement is a driver but so is the evidence that treatment works. Shumlin asked his fellow Vermonters “to listen to this math”: A week in a Vermont prison costs about $1,120, but $123 will buy a week of treatment for a heroin addict at a state-funded center. What makes more sense for a better future for our children: building more prisons or investing in addiction prevention and treatment? Or better yet, preventing ACEs and building resiliency against them? Gov. Shumlin has a point, but he harmed his own cause by pushing the legalization of marijuana. Vermont has a very high rate of teen pot use which serves the pool of addicts to a lot of deadly drugs. You can’t have policy that encourages drug use while trying to foster prevention.